Elon Musk is no stranger to innovation. Tesla cars lead the world in brand reputation for electric vehicles and last year, Tesla announced the introduction of the Tesla Powerwall home battery. However, for years Tesla never owned the domain name Tesla.com — until now. According to Andrew Allemann of DomainNameWire, the WHOIS record for the domain name Tesla.com changed on February 17, 2016, to represent a frequently known WHOIS address used by a brand-protection company to acquire domain names. James Illes from NamePros confirmed the transaction by speaking with seller Mr. Stuart Grossman directly and, if you type in Tesla.com, it now goes to TeslaMotors.com. How much did Tesla Motors pay? The rumors have started but we may never know for sure. Companies like Anker, The Texas Rangers and Facebook have paid top dollar to secure preferred versions of their domain. Uber is reported to have traded 1% of company stock to acquire Uber.com. These days, getting a great domain is no longer cheap. Some may even think Tesla had a right to the name. Oh, that’s so wrong. The owners of Tesla.com registered the name long before Tesla Motors existed. Another company (Tesla Industries, Inc.) even filed a motion in 2005 to acquire the domain, and well-known intellectual property attorney John Berryhill successfully defended this motion. A lot of the confusion in domain name rights is simply the equivalent of being the victim of your own success. Companies spend millions building brands but often fail to realize how people truly think. We live in a short-name world and, if you have a unique name like Tesla where marketing efforts have helped establish such high brand awareness, then human nature is to call the company Tesla — not Tesla Motors, Tesla Cars or anything else. Just Tesla. But the amount of brand value and brand security acquired by owning this is almost impossible to measure. How many people email someone@tesla.com every day? How many people type in Tesla.com? What if another company started selling products on Tesla.com that had nothing to do with cars, but was an embarrassment to the brand? It happens all the time. Just ask Nissan. For over a decade now, Nissan has filed one lawsuit after another to acquire this domain name. It just so happens that the domain is somebody’s (Mr. Uzi Nissan) last name and he has a company called Nissan Computer. 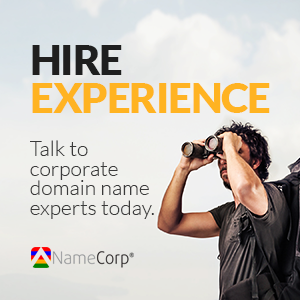 The acquisition of Tesla.com is another leading example of why brands need to pay attention to domain names. At some point it was inevitable that Tesla would do more than just offer cars and the TeslaMotors.com domain wasn’t representative of this growth. Imagine if AmazonBooks was the brand used to try and compete with Netflix — or UberCab was the company trying to sell you data. Both would potentially lose tremendous brand value. However, when you remove the secondary words and simply have Amazon and Uber, then it shows authority and opens the window to innovation without brand dilution. Patrick Swayze said it best in Dirty Dancing: “Nobody puts Baby in the corner.” Well, the wrong domain can put you in a corner. The right domain can open the world. The world has changed greatly since Joshua Quittner wrote an article over 20 years ago when he personally registered McDonalds.com, but the process of naming is still a challenge many companies fail to recognize until the need is so high that a price tag comes along to match.